For the first time ever, acclaimed speaker, consultant on domestic abuse and author of Why Does He Do That?, Lundy Bancroft, will be offering a webinar for survivors, professionals and support persons. The four-part series begins March 1. Is the way he’s behaving OK or unacceptable? He keeps saying I’m at fault—is that true? Is what he’s doing abuse? Why can he be so nice to me one day and so horrible to me the next? Why is he only horrible toward me, but everyone else thinks he’s great? “There are some abusers who change, but it comes from deciding to do some really serious work on himself. It’s not because she got him to realize it,” says Bancroft, whose webinar is for survivors as well as women who are just starting to question their partner’s behavior. The author hopes professionals and support persons, including advocates, educators, mental health professionals, life coaches, clergy, law enforcement, attorneys, judges, counselors and public officials, can also take away something from the series, namely, to better understand the needs of victims. Bancroft, who has spent more than 30 years in the domestic violence advocacy world, says his impression over the past decade and a half is that the response to domestic violence has gotten “far more uneven.” There are pockets where it’s gotten better, he says, but there are places where the response has become significantly worse. The “old attitudes we worked so hard against,” especially during the Battered Women’s Movement of the ‘60s and ‘70s are, in many ways, coming roaring back, he says. It is easy to ignore this message. Please don't. 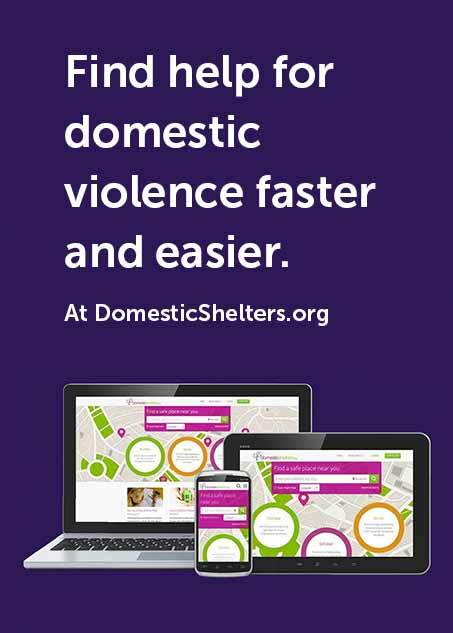 We and the millions of people who use this non-profit website to prevent and escape domestic violence rely on your donations. A gift of $5 helps 25 people, $20 helps 100 people and $100 helps 500 people. Please help keep this valuable resource online. Bancroft says more than 200 participants are already signed up for his worldwide webinar, which is available anywhere and to anyone who has Internet access. Each webinar begins at 1 p.m. EST on four consecutive Wednesdays beginning March 1 with an interactive chat happening simultaneously. For those who can’t attend live, a link will be provided to watch each webinar at any time afterward. A bonus live Q&A with Bancroft will also be offered on March 31 at 1 p.m. Additionally, participants can take part in a private Facebook page moderated by Bancroft and Patrice Lenowitz, executive director of The Nurtured Parent. To sign up for the webinar, visit his site, or go directly to the webinar link. The cost is $59, but Bancroft says to inquire about a reduced rate or scholarships if needed. For those survivors who don’t feel safe watching the webinar on a home computer, consider inquiring with your local domestic violence nonprofit to see if they can offer a group viewing at their facility.